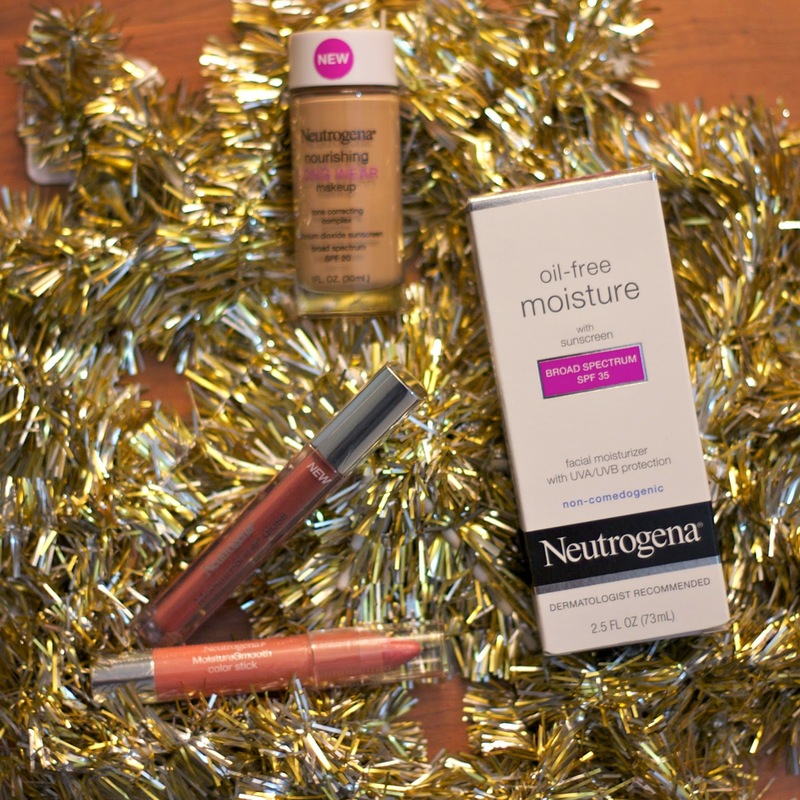 With Holiday Parties in full force, today I wanted to share a Holiday Beauty Look featuring some of my favorite products from Neutrogena! One of the things I appreciate from these products is that they are simple and perfect for an on-the-go gal like me. For this day I wanted an effortless Holiday beauty look with blush tones and soft shimmer making me feel bella. Holiday party schedules can get hectic, even parties back to back, so it is essential to have long lasting coverage for those long festive days. On my skin: After prepping with Neutrogena® Oil-Free Moisture Broad Spectrum, I added The Neutrogena® Nourishinag Long Wear Liquid Makeup Broad Spectrum SPF 20 which is perfect for the long days, or great for when you have a Holiday Party after work. Pictured: Neutrogena® Oil-Free Moisture Broad Spectrum SPF 35, Neutrogena® Nourishing Long Wear Liquid Makeup Broad Spectrum SPF 20, Neutrogena® MoistureSmooth Color Stick, Neutrogena® MoistureShine® Gloss. On my lips: Neutrogena® MoistureSmooth Color Stick in “Juicy Peach 10” with a touch of Neutrogena® MoistureShine® Gloss in “Pure Cider” both in light shimmer. 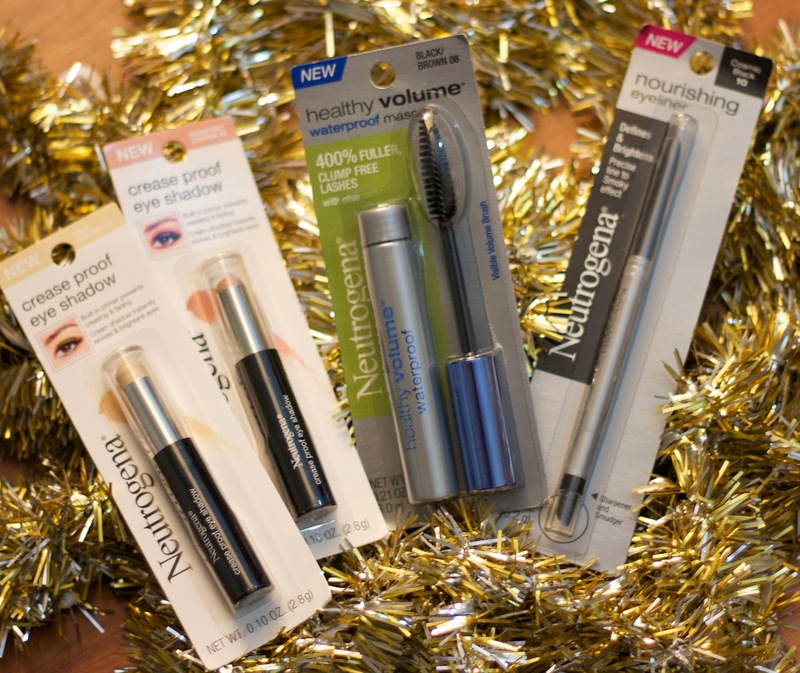 On my eyes: My new favorites Neutrogena® Crease Proof Eye Shadows, Neutrogena® Nourishing Eye Liner, Neutrogena® Healthy Volume® Mascara. The Neutrogena® Crease Proof Eye Shadows are my new favorites with the easy glide on roller leaving a cute shimmery eye shadow as if you had spent more time on dazzling those eyelids! They are also great for a quick eyeshadow refresh before heading to the next celebration. 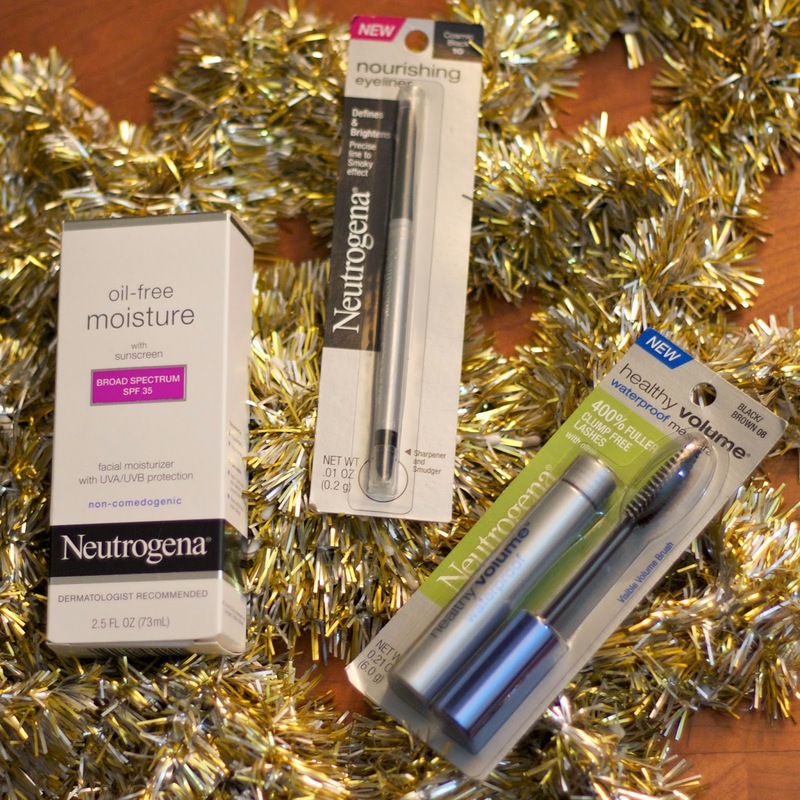 Don't forget to use Neutrogena® Makeup Remover Cleansing Towelettes after those fun Holiday Parties! Have a great Holiday Party Season! Click here to read about Neutrogena in Spanish! Lovely products...Neutrogena is one of my fav brand! Beautiful as usual Paulina, and love the makeup. Also adoring your sweater. 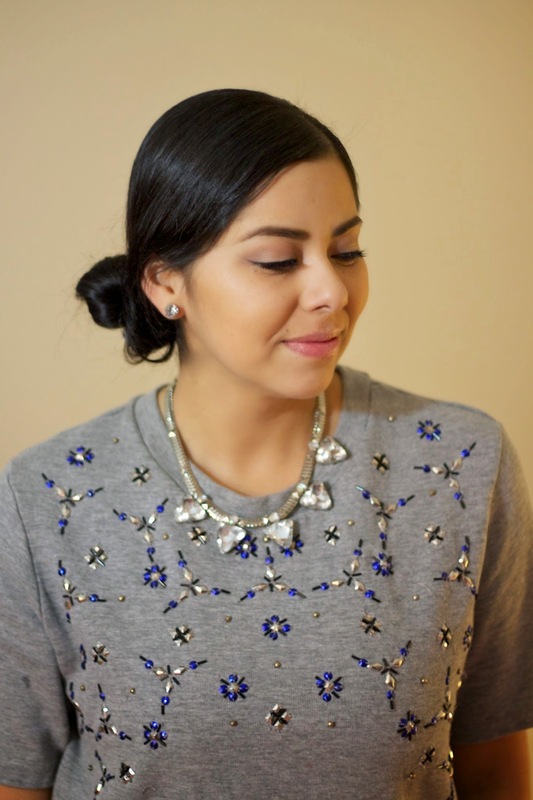 I use some Neutrogena products but now I want to try all of these! You look so pretty!